Throughout human history, there have been many world events that have seen a multitude of deaths and widespread destruction. The ten entries on this list are ranked according to the number of deaths. While some of the events spanned just a few years, others occurred over centuries. Since these death toll estimates are always highly disputed, I have made it a rule to use the highest respectable estimate in every case. I have also chosen to focus this list on ‘man-made’ events – natural disasters have not been included. 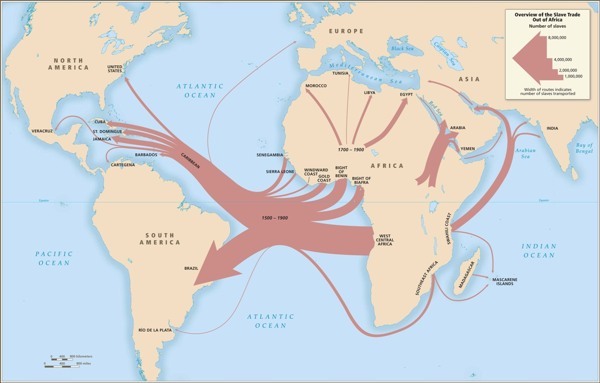 The Atlantic (or Trans-Atlantic) slave trade began roughly in the 16th century, reaching its peak in the 17th century until finally being all but abolished in the 19th Century. The main driving force behind this trade was the need for European empires to establish themselves in the New World. European and American settlers therefore began to use mainly West African slaves to fill the vast labor needs on plantations. Estimates vary on the amount of slaves who died, but it is said that for every ten slaves taken on a ship, four would perish from causes related to mistreatment. 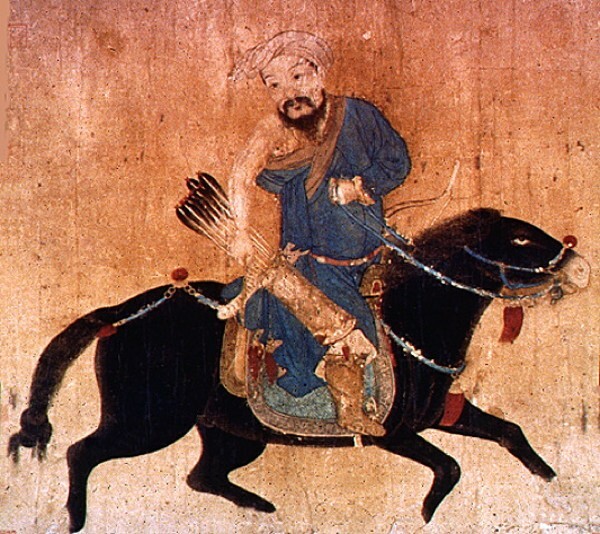 The Yuan dynasty was founded by Kublai Khan, the grandson of Genghis Khan, around 1260. Yuan literally translates as ‘Great is the Heavenly and Primal’, though there proved to be nothing either great or heavenly about it. Around 500 years before Yuan, the Tang Dynasty was in control of China. An Lushan – a general in the north of China – sought to take control, and declared himself emperor (creating the Yan Dynasty). The An Lushan rebellion lasted from 755 until 763, when the Yan Dynasty was finally defeated by the Tang empire. Medieval warfare was always a bloody affair – and this rebellion was no exception. Millions died and the Tang Dynasty never fully recovered. Jump forward a thousand years and the Chinese are at it again – this time with some help from the French, the British, and some American mercenaries. In 1850, the Qing Dynasty is now in charge of China. They had suffered some major problems before the rebellion, with natural and economic disasters causing havoc – not to mention the Europeans bringing opium addiction to China. So up stepped Hong Xiuquan, who amongst other things claimed to be the younger brother of Jesus Christ. 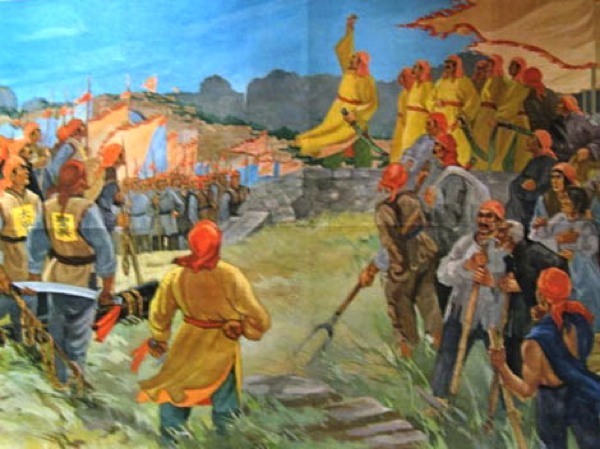 Hong established the Taiping Heavenly Kingdom – and the carnage began. The Taiping Rebellion happened at roughly the same time as the American civil war, though the latter conflict proved to be far less bloody. Another century later and we’re now in a Communist-led China. 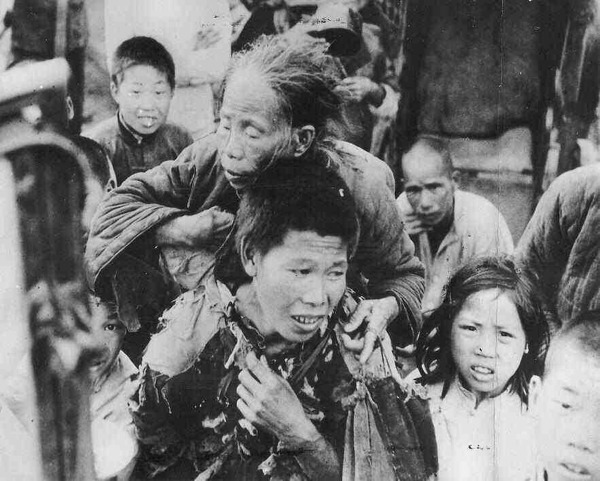 The period 1958 to 1961 is also know as ‘the great leap forward’ – and it’s a sombre lesson in what can happen when a government attempts to change a country too quickly. Although droughts and poor weather conditions led to the famine, the disaster can quite easily be seen as a consequence of the government’s attempts to rapidly transform the country from an agrarian economy into a modern communist society. Chinese peasants describe this period as the ‘three bitter years’, which is something of an understatement. Several decades later the Chinese economy became the largest in the world – but at quite a price. Here is another example of a disaster caused by a country with a vast population trying to change its economic and social landscape in a very short period. 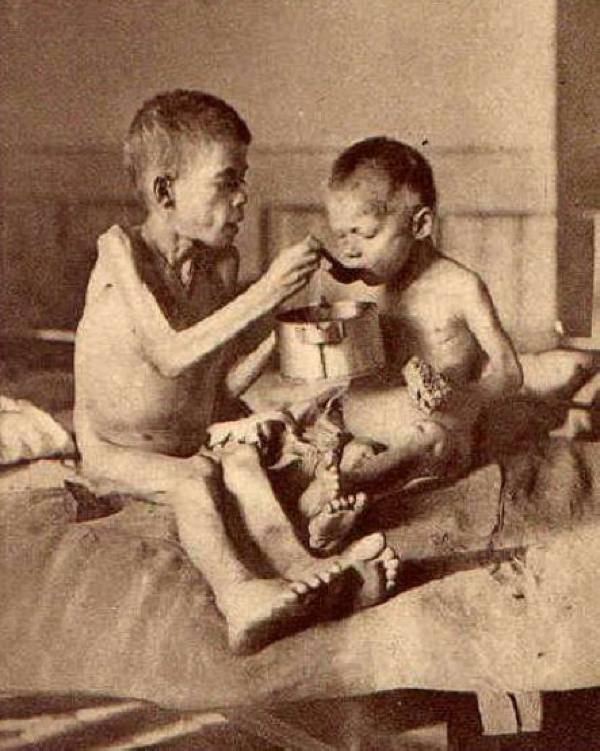 Under the Soviet Union, from 1917 to 1953, millions of Russians died at the hands of revolution, civil war, famine, forced resettlement and other crimes. One man can take most of the blame: Joseph Stalin. His desire to build a new and better country at any cost – and to keep hold of the power he had gained – was a direct cause of the majority of casualties under Soviet rule. It is hard to fathom how, in 1948, he was nominated for the Nobel Peace Prize. If there is one man who could be said to have more blood on his hands than anyone else in history, it is Genghis Khan. 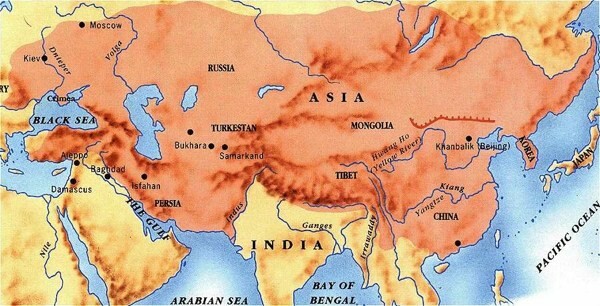 Under the leadership of Khan (and successors after his death), the Mongol empire grew into the largest land empire the world has ever seen – at its peak covering 16% of the Earth. The Mongol army swept across Asia, killing its rivals with great ferocity for the best part of two centuries. The death toll would certainly have been much higher if the Mongols had continued to progress west and into Europe. Aside from all the killing, it wasn’t all bad under Mongol rule – with religious tolerance given to most faiths, as well as tax breaks for the poor. Although other wars had come close quite a few times, this was the first truly global war. The causes of the ‘great war’ are varied and rather complicated, but suffice it to say that in 1914 when the various European empires began to get too big for each other, they decided to form two vast alliances and fight it out for dominance. Having taken a break from fighting for a few years, ‘total war’ broke out again in 1939. The two teams divided again into vast forces, and called themselves the Allies and the Axis. 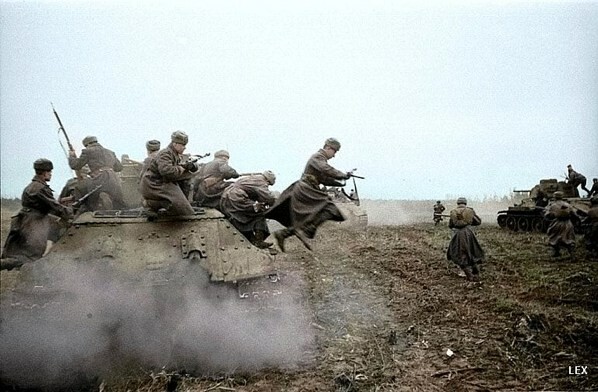 During the short break before the war, each country had decided to build some new killing machines – taking to the skies and to the sea, and developing more efficient land-based vehicles as well as automatic weapons their soldiers could now carry. And as if this wasn’t enough, a certain country decided to build a very big bomb. The Allies eventually ‘won’ the war, though 85% of the death toll came from their side, with the Soviet Union and China seeing the greatest casualties. The majority of deaths also came outside of the combat zone, and can therefore be attributed to war crimes. 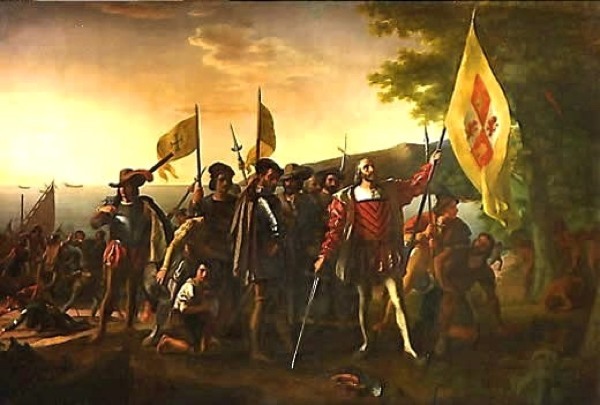 When Christopher Columbus, John Cabot and other explorers in the 15th century found a new continent, it must’ve seemed like the dawn of a new age. Here was a new paradise that adventurous Europeans could call their new home. There was, however, one problem: this land already had an indigenous population. Over the following centuries, the seafaring Europeans brought vast death tolls to what is now referred to as North and South America. 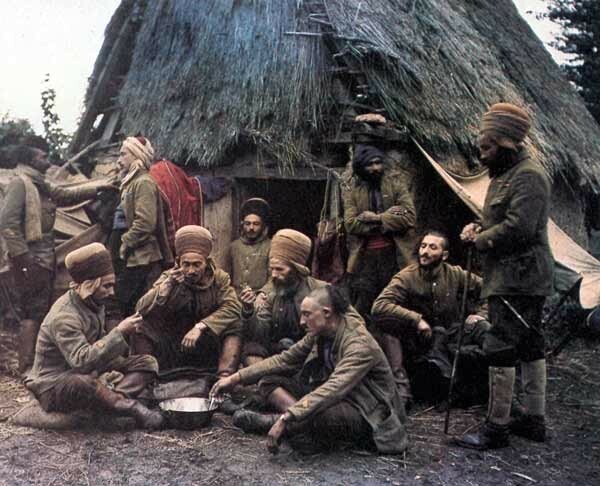 Although war and invasion can account for a hefty chunk of these casualties, it was the natives’ lack of immunity to European diseases that caused the most deaths. Some estimates state that 80% of the Native American population died as a result of contact with Europeans.